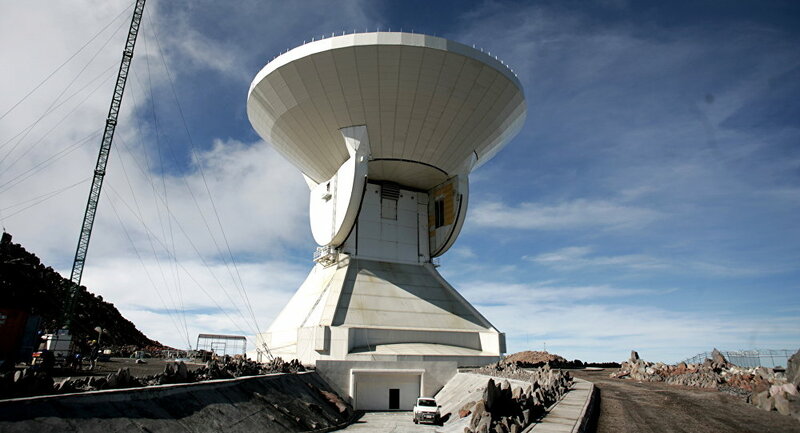 Mounted on the top of the Sierra Negra peak in Mexico, the Large Millimeter Telescope is believed to be the world's largest such device in terms of its frequency range. Sputnik Spain interviewed Mexican astrophysicist Arturo Gomez, one of the scientists who participate in the project. The Large Millimeter Telescope is designed for observing radio waves in the wave lengths ranging from approximately 0.85 to 4 mm. Located at an altitude of 4,850 meters on top of the Sierra Negra peak in Mexico, it has an active surface with a diameter of 50 meters (160 feet) and its collecting area totals 1,960 square meters (21,100 square feet). This unique device is needed in order to better understand how our universe was formed and developed. "In the early 1990s, our colleagues from the University of Massachusetts, together with astronomers from the National Institute of Astrophysics, Optics and Electronics, decided to launch an important astronomy project which could be a step forward in the field of space exploration. They agreed to build the largest telescope at the time," Mexican astrophysicist Arturo Gomez told Sputnik Spain. — A R Cooray (@acooray) 17 июня 2015 г. 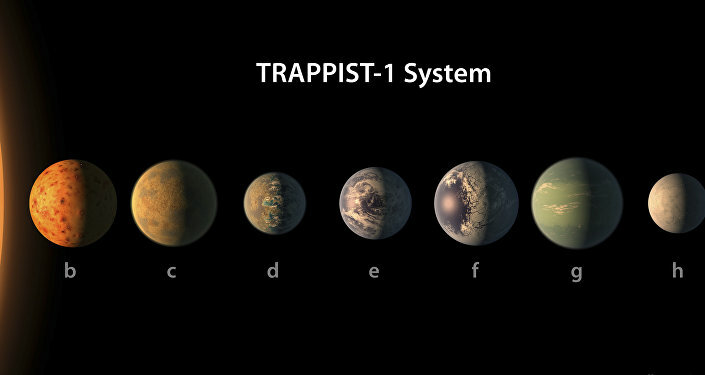 Studies in the millimeter range provide a unique opportunity to explore the most remote areas of the universe, where life possibly originated, according to Gomez. "The telescope is necessary for studying the formation of the first stars and planets, as well as the synthesis of complex molecules that gave rise to the formation of life," he explained. "We work with two instruments. The first one explores distant galaxies, while the other instrument, the bolometer, determines the temperature of celestial bodies. It allows us to take photographs of the starry sky, Gomez said. — Pluto Bees (@PlutoBees) 29 марта 2015 г. From April 4 to April 10, the Large Millimeter Telescope was used for conducting an experiment to study a supermassive black hole located in the center of our galaxy. Apart from the Large Millimeter Telescope, eight telescopes from all across the world operating in the millimeter range have been added to the experiment. "The scientific task is to follow the shadow of this black hole. This is a very important experiment because so far no one has been able to watch a black hole directly. This is only possible when you examine emissions in the millimeter range," Gomez said. — Seth Fletcher (@seth_fletcher) 26 апреля 2014 г. "To catch this radiation, we need all the telescopes of the world that work in this range, which will help us deal with an interferometry method which will be used. These are very complex studies and it will take years to get at least some results," he added. The Large Millimeter Telescope is touted as the biggest scientific apparatus ever constructed in Mexico. According to Gomez, the device will contribute to the technological development of his country and help scientists who work in the field of space exploration. "In terms of education and Mexico's technological development, this telescope is of paramount importance," he said. "The telescope adds to the development of Latin American scientific institutes and the expertise gained with the help of this device will prompt other countries in the region to deal with space-related studies, "Gomes concluded.